We have decades of experience on our side! All it takes is one accident to leave you with life-altering injuries and heavy expenses that jeopardize your financial stability. If your accident was caused by someone else's negligence, you should take immediate action to seek compensation from the at-fault person or commercial entity so that your damages can be covered. Damages that you may be able to seek compensation for include medical bills, lost earnings, pain and suffering and emotional trauma, among others. When you hire Cope, Zebro & Crawford, P.L. to represent you in your personal injury case, you receive high-quality legal support from experienced trial attorneys. 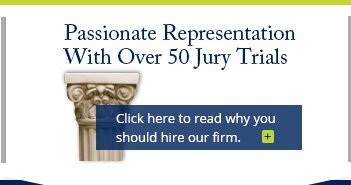 Our East Lake Woodlands personal injury lawyers have provided aggressive litigation in more than 50 jury trials. They draw from over four decades of collective legal experience. In addition to being aggressive advocates, we are also compassionate legal advisors who are attentive to our clients' needs. We want to help you maximize your financial recovery so that you can move forward from your accident in the best way possible! Our law firm is able to assist clients with a diverse range of needs in the area of personal injury law. We represent drivers and passengers who have been injured in motor vehicle accidents, such as car accidents, bus accidents and truck accidents. We also extend legal support to others who have been injured on the road, such as pedestrians and bicyclists. In addition to our traffic accident cases, we also handle claims and lawsuits that stem from dog bite incidents, slip and fall accidents, injuries caused by negligent security on someone else's premises and more. 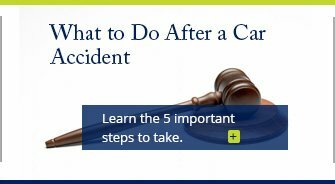 Are you the family member of some who passed away as a result of his or her accident? If so, you have a right to seek compensation for the wrongful death. One major advantage our lawyers at Cope, Zebro & Crawford, P.L. bring to the table is their previous experience defending insurance companies in cases similar to yours. 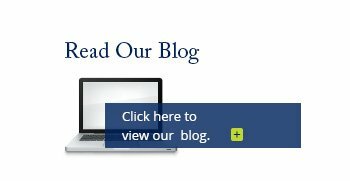 Because we've been on the other side of personal injury cases, we are fully prepared for the types of strategies insurers may try to use to unfairly deny your claim or to offer an unreasonable settlement. 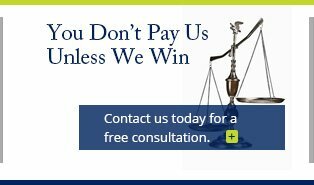 Since we also have an attorney on our team who formerly served as DUI prosecutor, we also have a unique advantage when it comes to accidents caused by DUI. Furthermore, we have lawyers at our firm who have been selected for the Florida Super Lawyers® Rising Stars℠ list. If you need to file a personal injury claim or lawsuits, do not pass up the chance to work with our highly experienced litigators! East Lake Woodlands is a community in northern Pinellas County that consists of 3,789 households, according to the East Lake Woodlands Community Association. This community consists of single-family homes, cluster homes, condominiums and villas, as well as the East Lake Woodlands Country Club. All of East Lake Woodlands residents are subject to some of the country's most dangerous roads in Pinellas County. With a lifelong commitment to Pinellas County, we know how quickly the drive home from work can turn into a tragedy. Anyone who has suffered from a wrongful injury within this community should not hesitate to contact Cope, Zebro & Crawford! Sign up for one of our free case evaluations!